NASHUA- Ross A. Poley, 74, died peacefully Sunday morning, December 2, 2018 at St. Joseph Hospital surrounded by his loving family. He is the beloved husband of Louise (Lavoie) Poley with whom he shared 50 years of marriage. Ross was born in Haverhill, Massachusetts on February 3, 1944 and was the son of the late Ross O. and Doris (Fortier) Poley. He proudly served his country, enlisting in the United States Navy during the Vietnam War. Ross was employed as a torpedo man during his 20 years until he was honorably discharged in September of 1975. Following his retirement from the Navy, Ross was employed in the weapons department for Raytheon. In his free time, he enjoyed golfing, traveling with his family to various destinations, and was an avid and lifelong Red Sox Fan. 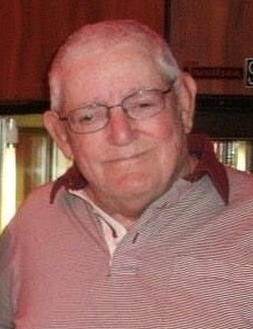 Above all, his most cherished time was spent with his family especially his grandchildren. In addition to his wife, Louise, he is survived by his two children, Steven Poley and his fiancé Kristen of Salem, NH and Stacey Metivier and her husband Paul of Nashua; his eight grandchildren, Brett, Adam, Morgan, Gretchen, Owen, Brandon, Steven Jr., and Paige. He is also survived by his two siblings and several nieces and nephews. At Ross’s request, all services have been omitted.